'''Bodhicharyavatara''' (Skt. ''Bodhicaryāvatāra'') or '''Bodhisattvacharyavatara''' (Skt. ''Bodhisattvacaryāvatāra''; Tib. [[བྱང་ཆུབ་སེམས་དཔའི་སྤྱོད་པ་ལ་འཇུག་པ་]], སྤྱོད་འཇུག་, [[Wyl.]] ''byang chub sems dpa'i spyod pa la 'jug pa'') or ''Introduction to the [[Bodhisattva]]'s Way of Life'' - [[Shantideva]]'s classic guide to the [[Mahayana]] path. '''Bodhicharyavatara''' (Skt. ''Bodhicaryāvatāra'') or '''Bodhisattvacharyavatara''' (Skt. 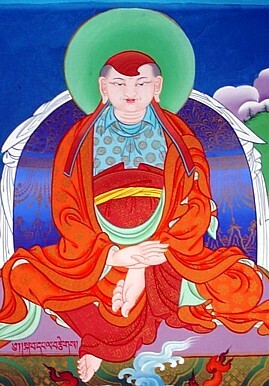 ''Bodhisattvacaryāvatāra''; Tib. [[བྱང་ཆུབ་སེམས་དཔའི་སྤྱོད་པ་ལ་འཇུག་པ་]], ''changchub sempé chöpa la jukpa'', སྤྱོད་འཇུག་, ''chönjuk'', [[Wyl.]] ''byang chub sems dpa'i spyod pa la 'jug pa'') or ''Introduction to the [[Bodhisattva]]'s Way of Life'' – [[Shantideva]]'s classic guide to the [[Mahayana]] path. 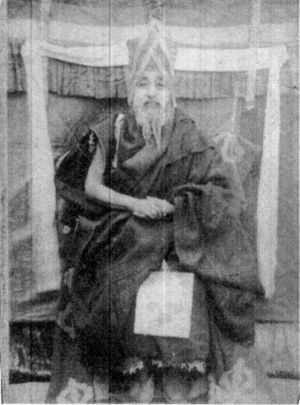 It is included among the so-called "[[thirteen great texts]]", which form the core of the curriculum in most [[shedra]]s and on which [[Khenpo Shenga]] provided commentaries. :Merely recalling the appropriate stanza in situations when your mind is ablaze with afflictions will allow the power of the words of the ''Bodhicharyavatara'' to pacify the situation. Understanding the text’s meaning increases its capacity to tame afflictions. The full power of each stanza does not manifest through simply remembering it one time in a difficult situation. 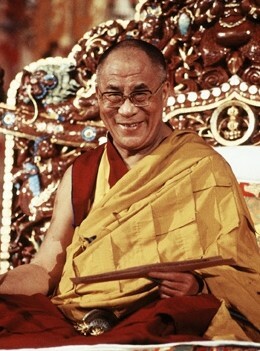 These teachings must be practiced again and again, and constantly applied to one’s daily life. This approach to taming the mind is called ‘mind-training’.